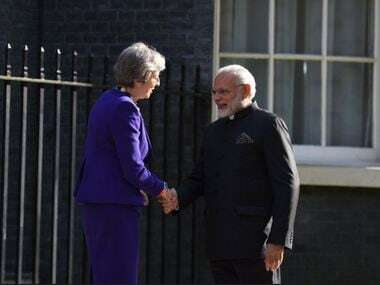 On Wednesday, Prime Minister Narendra Modi, who is in the UK for a four-day visit, met British prime minister Theresa May. The two leaders discussed a whole host of issues over breakfast: Immigration, investment, terrorism, cooperation in the field of technology and finance. According to the joint statement issued in the aftermath of that discussion, the two leaders held wide-ranging and constructive discussions and underlined "our strategic partnership and growing convergence on regional and international issues". The term Strategic Partnership seems to be writ large over the last decade of the India-UK relationship as the countries seemingly draw closer. But what does the term even mean? According to the joint statement, the Strategic Partnership is defined as "based on values, common law and institutions, as the world's oldest and largest democracies". But it took a while for the India-UK Strategic Partnership to get going. 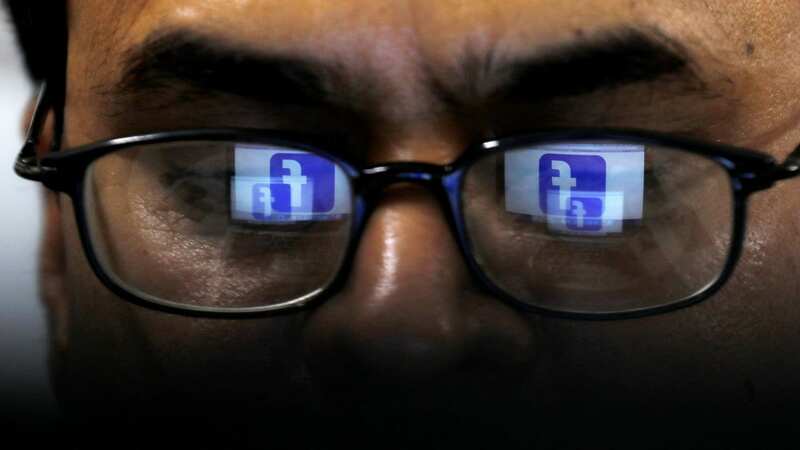 In fact, the bilateral relationship was upgraded to a Strategic Partnership only in 2004, according to a document put out by the High Commission of India in January, ahead of Modi's visit. "That Strategic Partnership was further strengthened during the tenure of British prime minister David Cameron to India, who visited India thrice in his first term (July 2010, February 2013 and November 2013)," the high commission document stated. "The successful visit of Prime Minister Modi to the UK in November 2015 gave further impetus to the bilateral relationship. UK Prime Minister Theresa May’s visit to India in November 2016, which was her first overseas bilateral visit after assuming office in July 2016, reflects the continuity of interactions at the highest political level", the document added. 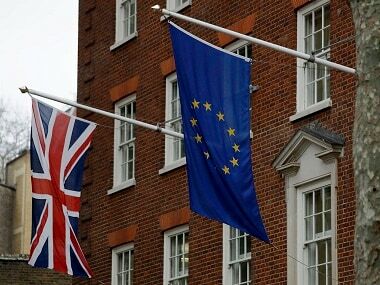 "India and the UK share a Strategic Partnership. The two sides underscored their commitment to the Strategic Partnership launched in 2004 and reaffirmed their shared conviction in the values of democracy, fundamental freedoms, pluralism, rule of law, respect for human rights and multilateralism in the international political and financial architecture as the means to tackle global challenges effectively. The close bilateral relationship has already led to growing cooperation in global affairs and substantial expansion in the bilateral engagement in multiple fields. Building on the achievements of the ‘New Delhi Declaration' (2002) and ‘India-UK Joint Declaration' (2004), the two sides commit themselves to strengthening and deepening the comprehensive Strategic Partnership that exists between the two countries, which is underpinned by growing economic ties and the presence of a large Indian diaspora in the UK". Worse, the term Strategic Partnership failed to even find a mention in the 2013 joint statement, which was issued after talks between Manmohan Singh and David Cameron in New Delhi. Instead, the document stated: "The two prime ministers and their colleagues reviewed the progress made since the previous summit in 2010 on building a stronger, wider and deeper relationship across the range of India-UK interests, based on shared culture, values and strategic interests". However, things seemed to turn after Prime Minister Narendra Modi took office. After Modi met his counterpart David Cameron in London 0n 12-13 November 2015, the countries released a joint statement which said: "The two prime ministers agreed that the City of London should play an important role in channelling investment into infrastructure projects in India including in the railways sector, laying the foundation for a long-term strategic partnership that leverages the capital and expertise of the City of London to finance India’s continued rapid growth." The statement further added, "The two prime ministers welcomed a long-term strategic partnership between India and the UK on the former’s flagship infrastructure investment initiative, the National Infrastructure Investment Fund (NIIF), and announced the setting up of a India-UK partnership fund under the umbrella of the NIIF. The collaboration will help bring global investors through the City of London to help finance Indian infrastructure in a sustainable way, further supporting India’s rapid growth". The document emphasised cooperation in the field of investment and infrastructure. For those hoping for closer ties between India and UK, there was certainly nothing to get excited about. In 2016, the term seemed to make a comeback, when Prime Minister Theresa May visited India at the invitation of Modi. 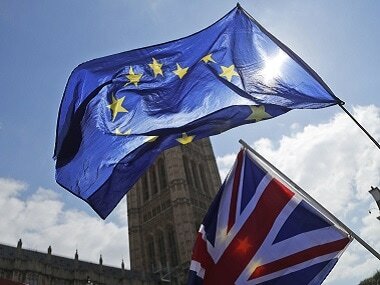 In fact, the title of the joint statement: India-UK Strategic Partnership looking forward to a renewed engagement: Vision for the decade ahead seemed to draw attention to the fact that ties were on an upswing. 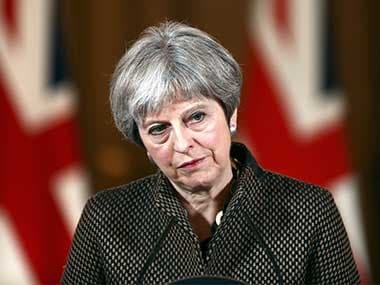 The joint statement noted that this was May's first bilateral visit outside Europe after taking over as the UK prime minister and was designed to further strengthen the India–UK Strategic Partnership, which was "guided by a shared vision for the future and supported by a concrete and comprehensive road map of bilateral and global engagement". The document added: "During Prime Minister Modi’s visit to the UK last year, the two countries set out a bold vision for the UK-India Strategic Partnership. Both countries today commit to turn this vision into reality through closer, practical cooperation that delivers real benefits to both the countries". The document further added: "Building on the Defence and International Security Partnership (DISP) agreed in November 2015, the UK and India are committed to further strengthening their strategic partnership in defence". According to the 2018 joint statement, the India and the UK seemed determined to put the relationship into high-gear: "We are committed to making this a Strategic Partnership that spans the globe and the century, seeing our special relationship evolve and improve in the coming years. We encourage our business, cultural and intellectual leaders to exploit the millions of interactions that already link India and the UK, from family to finance, business to Bollywood, sport to science – so that millions more British and Indians exchange and learn, travel, trade and thrive together".